We analyse visitors to the Assembly's website 1 to highlight monthly trends. Thanks for posting your web stats. 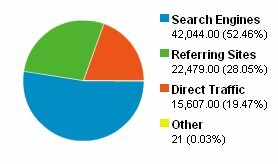 It's very interesting to see just how many people visit the Assembly website.